W are on track to beat our May adoption totals with 42 adoptions so far. What could be better than loving animals finding new homes?? Many thanks to all the kind folks who called to see if we needed any assistance with fire related needs. We have been fortunate to be safe and send out good thoughts to those who have been affected by the recent fires. We are here to help! High quality dry dog food- sensitive stomach if possible. We are trying to ease our new dog arrivals with a low stress introduction. Canned dog food- chunky with gravy is great. Cardboard scratching trays (smaller sized) for the kitties. This helps with their natural scratching instincts and keeps them active. 13 and 30 Gallon garbage bags. Folding card table style chairs to use at offsite events. We only need a few (3-4) more. Now seriously...don't these guys just melt your heart?? 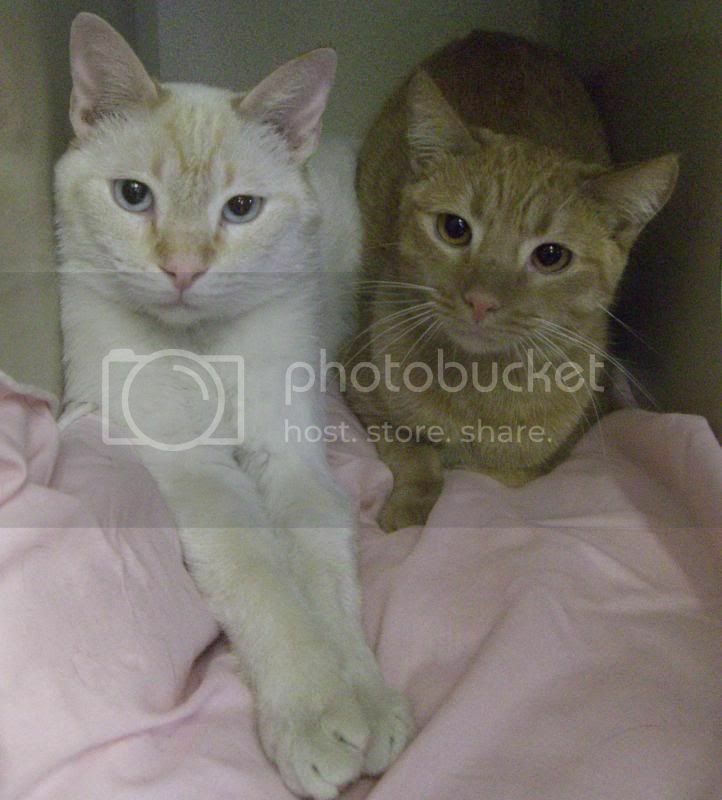 This bonded pair of 2 year old brothers are still waiting for that special someone to come and adopt them. Yes, they play a lot and take comfy long naps, but it would be SO much better if they could play and sleep at YOUR house. Why wait? Come down and visit Elliot and Gideon today! We are open 7 days a week so there are NO excuses. Stop by soon and meet the new of your life!